Welcome to the Sunday Surf, a tour of the best blogposts I've read throughout the week. It was Free Cone Day! And then my Batboys enjoyed the mall play area/family lounge. Cheap outing! A reminder of the point of gentle parenting: connection. I found out information on the autoimmune protocol of eating when researching dietary ways to help my acne. There’s NO WAY I’m going on it at this point, because, my gosh — no grains, no eggs, no nuts, no dairy, no nightshades, no alcohol, no ibuprofen, no SPICES (so … bland meat and veggies — joy) — but I thought it was interesting information and that the restricted foods are worth looking at for people having autoimmune responses, especially severe conditions. Insightful and frustrating conversation with a dietitian. And that is what floored me. A dietitian who makes her living advising people on what is healthy for them is so convinced that people will not actually eat health foods (and are basically too stupid to be taught how important real food is) that she will only give real food an honourable mention before moving on to recommend the processed stuff. 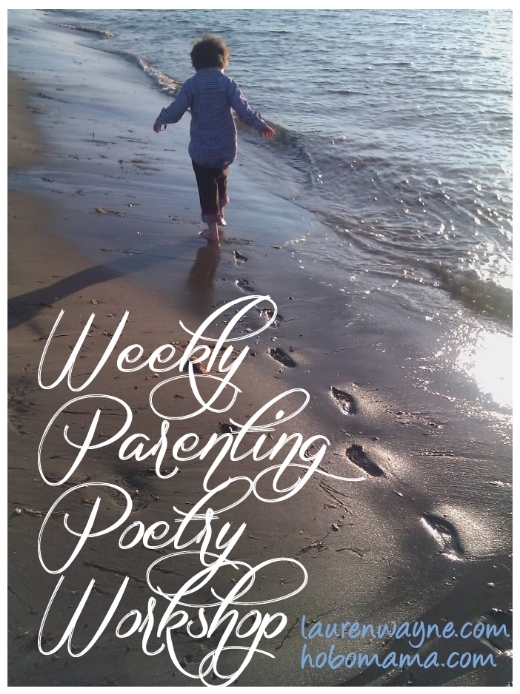 Join us for the Weekly Parenting Poetry Workshop! April is National Poetry Month, and I want to celebrate poems and parenting in one beautiful span of five poetry-drenched weeks. That's it. It doesn't have to be amazing (though you'll find that a lot of it is!). You just have to write, and then share — inspire, and be inspired. We're each writing at least one parenting-themed poem a week on an overarching parenting theme, which I post on Mondays. On Fridays, I post a linkup so we can all share what we've been working on, and then we enjoy reading each other's work. 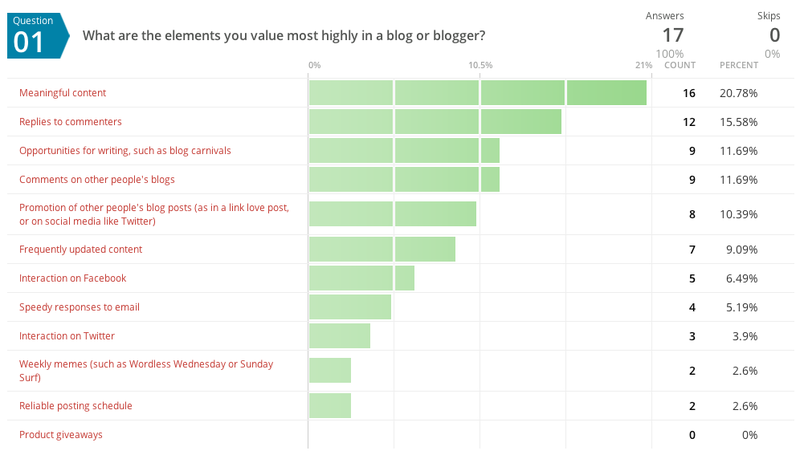 A million two years ago, I sent out a survey asking blog readers what were the most significant elements of blogs they loved to visit, and what was by contrast less important. Here are the very interesting results! See all the results at the post. We are happy to announce that our very first Natural Parents Network Twitter party will be held Monday, April 15th (yes, tax day!) at 7 p.m. PDT (9 p.m. CDT, 10 p.m. EDT). Are you interested in learning more about natural parenting? Do you already consider yourself a natural parent? What is natural parenting? Chat about our favorite topic with Dionna and me — NPN's cofounders — and a few other of our fabulous NPN volunteers at our first Twitter party, this April 15. Dionna and I will be answering YOUR questions about NPN and natural parenting, and there will be a chance to win prizes from our sponsors! We look forward to connecting, learning, having fun, and sharing some great prizes. See you Monday night in our TweetChat room! We love following along with fellow Sunday Surfers. If you have your own post of reading links to share, please link up your post on Hobo Mama or on Authentic Parenting. The linky will go live every Sunday, and you can link up any day that week. You only need to add your post to one of the sites, and the linky will automatically show up on both sites. 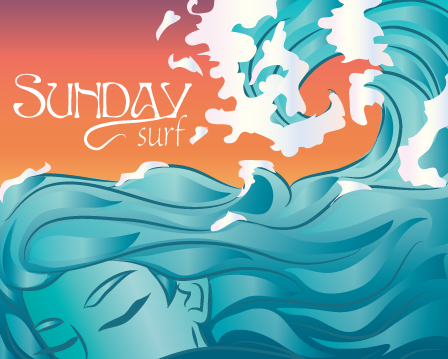 You can get the Sunday Surf button by Jenna Designs and some code to add to your post from my Sunday Surf page. Check out previous editions for good reading, and you can find more shared items during the week at my Tumblr blog, Hobo Mama's Shared Items.